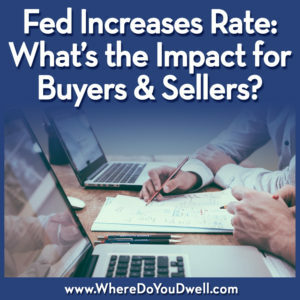 Fed Increases Rate: What’s the Impact to Buyers and Sellers? The Fed rate just went up 0.25% and that could mean mortgage interest rates will follow. Even though the Federal fund rate is not linked directly to mortgage interest rates, its movement can impact mortgage rate fluctuations. In fact, mortgage rates already increased just in anticipation of the Federal Reserve vote. Rates jumped for the second week in a row, with the average 30-year mortgage climbing to 4.30% from 4.21% last week. A year ago it was at 3.73%. To recap, the Federal Reserve sets the short-term rate for the overnight exchange of money by banks (i.e., banks borrow from one another). The Fed will adjust this rate depending on the outlook for the overall US economy. As the country was recovering from the recession, the Fed held off and only made two increases within the decade. It last raised the Fed rate in December. And on Wednesday it voted once again to increase its rate. It also hinted that two more increases are likely later this year, and possibly three in 2018. Remember, the Fed interest rate is not the interest rate you will get for a mortgage. 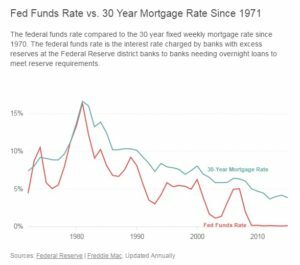 However, as the Fed raises their rate, mortgage loan interest rates move in the same direction (see graph below). The reason the Fed raises or lowers its rate is based on the economy. The fact that the Fed raised its fund rate twice in the last three months means they feel the economy is getting stronger. That’s a good thing! Both buyers and sellers will benefit in a more robust economy with increasing home values. Even though the overall economy is improving, the cost of borrowing will increase if mortgage rates start to tick up. And that’s where you’ll feel it most directly. Mortgage rates are still historically low, but even a 1 percentage difference can add an additional $50 or more to a monthly mortgage payment depending on the loan amount. The Fed rate’s increase will not only impact mortgage rates but also the dynamic of the housing market itself. How buyers and sellers will react to the expected increased cost of borrowing in the coming months will impact inventory and competition for homes. First-time buyers and those on a tighter budget may want to jump start their home search before the next Fed rate increase and the ones to follow, which could slightly push up mortgage rates some more. Buyers are more expensive homes with larger loans will see the most increases in monthly mortgage payments when interest rates go up even slightly. Sellers may want to list their homes sooner to benefit from the influx of buyers looking for more affordable rates and conditions. Homeowners most likely will put off refinancing if rates continue to increase, especially if they already have a super low rate from previous years. Mortgage interest rates tend to follow the same trend as the Fed Rate. See graphic below, from Inman. 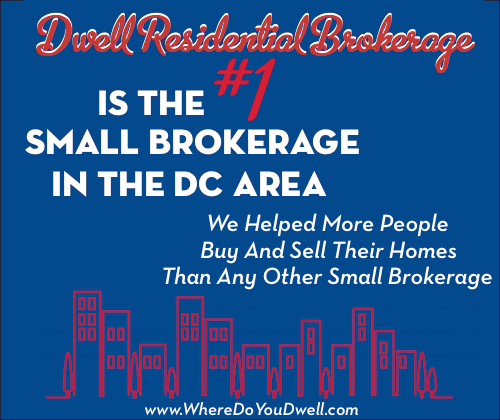 Let us know if you have any questions about the possible impact of the recent Fed rate increase on mortgage rates and the DC metro housing market.